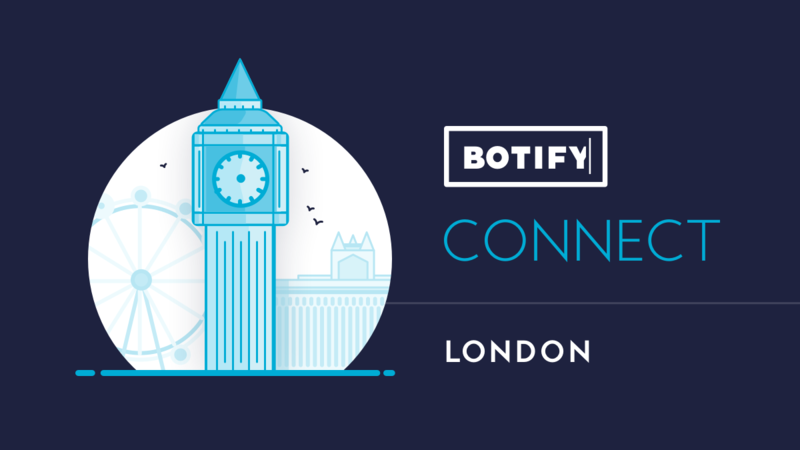 At the first BotifyCONNECT of 2018, Botifyers from all walks of SEO - from e-commerce, to publishing, to travel, and beyond - came together as a diverse community to tackle the challenges posed by structured data and the mobile-first index. The latest BotifyCONNECT offered our rapidly growing global community a chance to converse with fellow enterprise SEOs, pose questions, and share insights about the biggest topics in search optimization today. 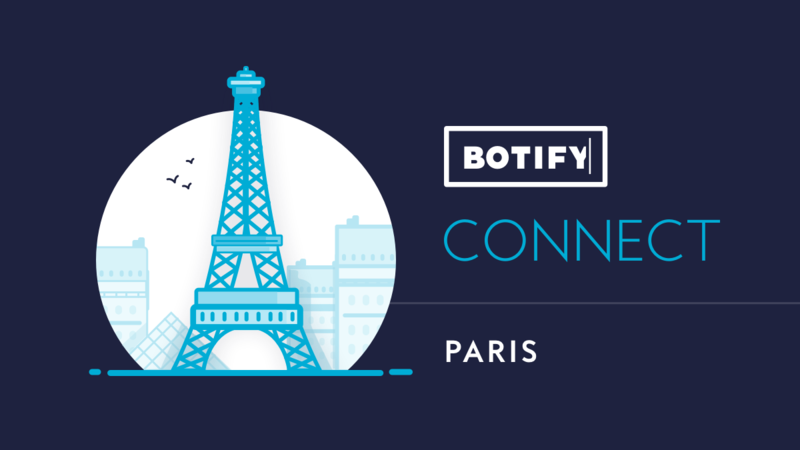 This BotifyCONNECT was held simultaneously at all three of our international offices - Paris, New York City, and London. Combined, this BotifyCONNECT claimed over 200 registrants, a big jump since we started this group get together a few years ago. Here’s a recap of the best moments from all three events! The latest BotifyCONNECT kicked off at our Southbank offices in London with a morning of free breakfast and cutting SEO insights. In addition to the main speakers, the event offered coffee, croissants, and friendly chit chat among some of the most prominent SEO professionals in the industry. 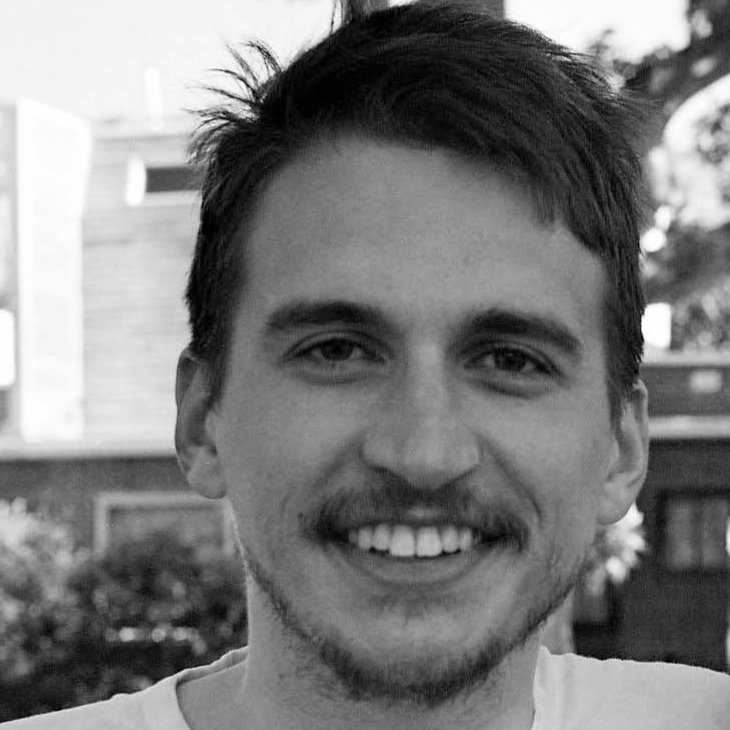 Brett Saltalamacchia, a Technical SEO Analyst from LoveHoney, illustrated many of the challenges his company faces with product cannibalisation and wasted crawl budget, along with how his company is preparing for the mobile-first index. The Head of SEO at trainline.com showed how to build Custom Reports in Botify to spot SEO trends and track strategic progress of campaigns, along with how to manage key campaign stakeholders and demonstrate value to colleagues who aren’t SEO savvy. Mark Thomas, Botify VP of Customer Success, demonstrated how to use SEO log file analysis to track the crawl on your website, by device, to understand exactly when the your site has moved over to the mobile-first index. # The event was a great way to kick off the day, bright and early! Next up, our headquarters in Paris hosted some of France’s brightest search marketers for an evening of food, drinks, and SEO in a standing room only event. We were very fortunate to have an esteemed panel, who discussed topics ranging from structured data, to the mobile-first index, to website structure. The Search Director for SoLocal Group talked about his experience with specific kinds of schema: "I'm not sure Google takes the addresses into account, and the item list information in our result pages is completely ignored" # Looks like our BotifyCONNECT community is still running strong in Paris! All-Star Panel in NYC: Can I Wait on AMP Pages? Panel Member Says SEO is Not for “Late Adopters”. 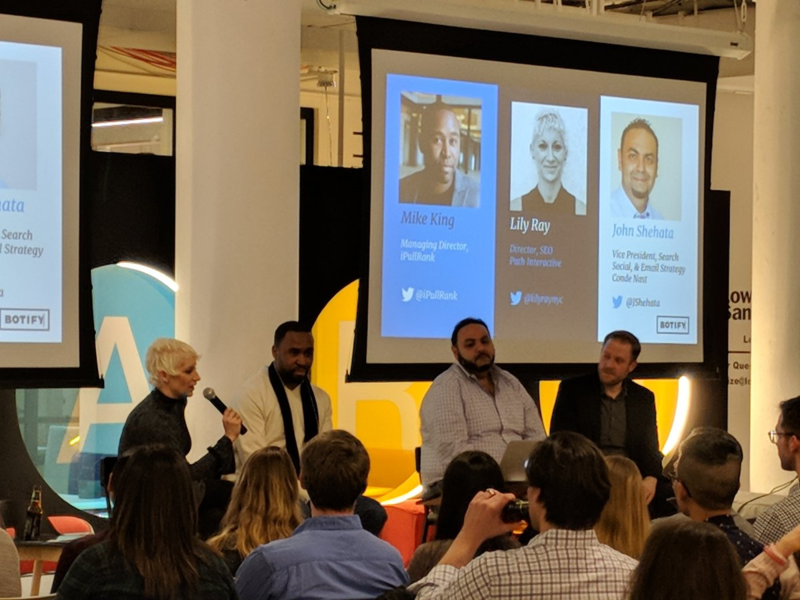 While Botifyers in Paris and London were fast asleep, we closed out our day of global BotifyCONNECT events with an all-star panel in our New York City office. The event was a very forward looking discussion on the SEO challenges enterprise SEOs face both today and just on the horizon. Lily Ray, Director, SEO at Path Interactive, talked about why diligent SEOs shouldn’t freak out about the mobile-first index. Google’s been pushing mobile friendliness and page speed for years. SEOs who have been engaged with industry trends shouldn’t lose sleep at night. Mike King, Managing Director at iPullRank, talked about the advantages of structured data in terms of the crawl. Schema can help Google speed up its processing of information, and allow more crawl resources for your site. Mike said structured data is one of a handful of things that today’s SEO must do well. # Some great conversations - our NYC BotifyCONNECT was an awesome way to cap off the night! The audience for our most recent BotifyCONNECT was global, and the ideas were, too. Thanks to all the customers, team members, and enthusiasts who made this meeting of the minds possible! We couldn’t have done it without you. The latest BotifyCONNECT represented a broad cross section of our rapidly growing community. The event saw some of world’s best enterprise SEOs, teaming up to tackle the top issues and opportunities in search optimization today. And now we can’t wait to do it all over again. Our next BotifyCONNECT is slated for June 2018. Stay tuned for more details! In the meantime, drop us a line on Facebook or Twitter if have any ideas for upcoming BotifyCONNECT presentations. Analyze All of Google’s Content Ranking Signals in a Single Dashboard with Botify!